Your cat is trying to tell you something. Listen to your cat. 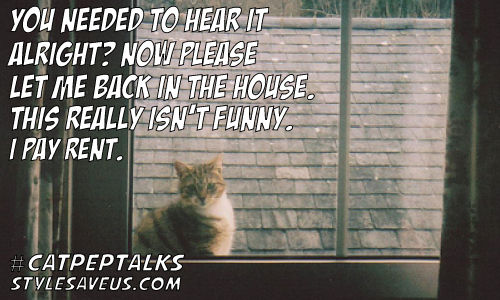 Style Save Us presents Cat Pep Talks. Thinking about getting a cat? Remember adopt don’t shop. In the LA area, AmandaFounation.org is the spot for you.